Have you ever woken up to a gloomy day that just absolutely drains you so badly that you hardly want to go to work? Well guess what happened to me yesterday. Waking up only at 7.30 AM, I breezed through everything and thought of how I would definitely be late to work considering how wet the road conditions were and how cold I felt. Luckily for me, I got to the office in time but I swore not to leave the office until my day was at an end; which meant I definitely did not want to leave my office. But what was I going to do with lunch? 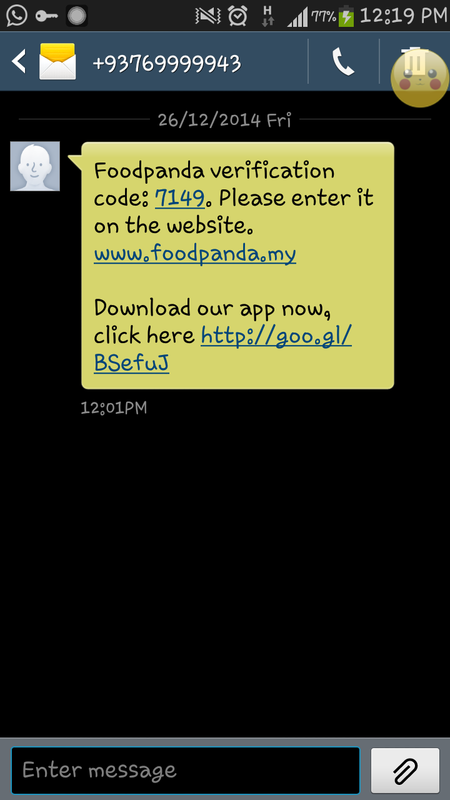 That was when I remembered of how The Butterfly Project Malaysia was working with Foodpanda and I still had my voucher for a Foodpanda delivery pending. 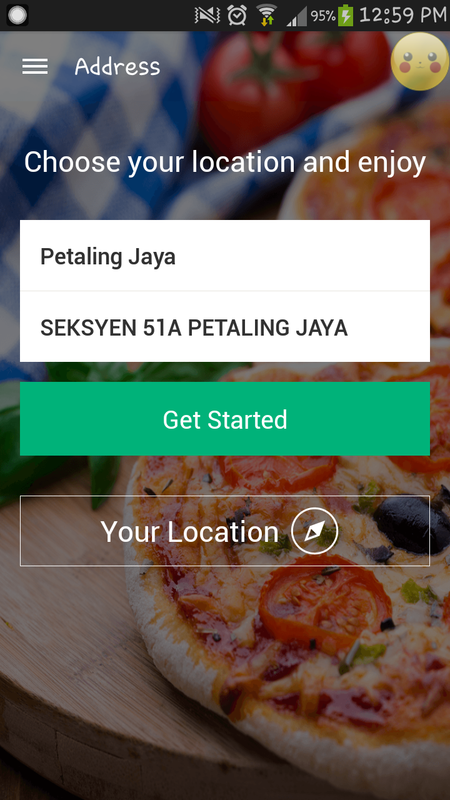 I had been wanting to use this for a delivery at home but it turns out that Foodpanda does not deliver to Sungai Buloh so I didn't look into it anymore and (shamefully) forgotten about it. "This was it," I thought to myself. I then rounded up my 2 colleagues, Benjamin and Kah Mon for an order to lunch so I wouldn't have to be all alone and they could feast with me too. It was a win-win, right? 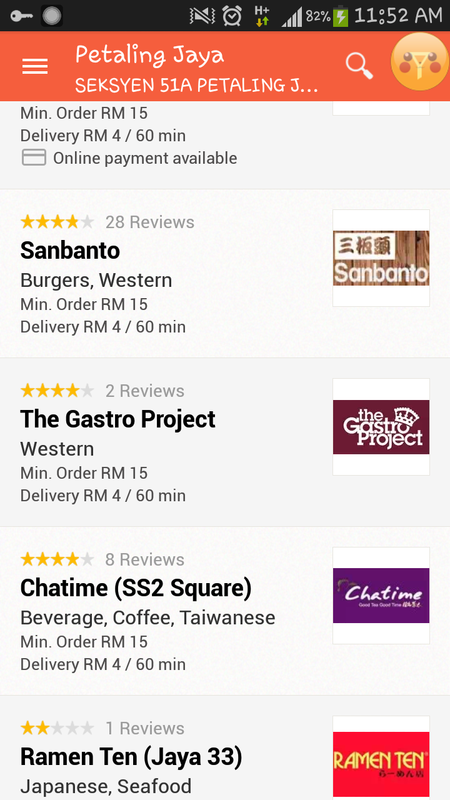 Going through the Foodpanda app on my phone was quite a breeze because all you had to do was key in your location and a list of available restaurants would pop up for your selection. If you can't go to the food, let the food come to you. Choices were ranging from The Gastro Project to Chatime and even 7-Eleven which is a huge shocker because who would possibly ask someone to deliver them something from 7-E right? 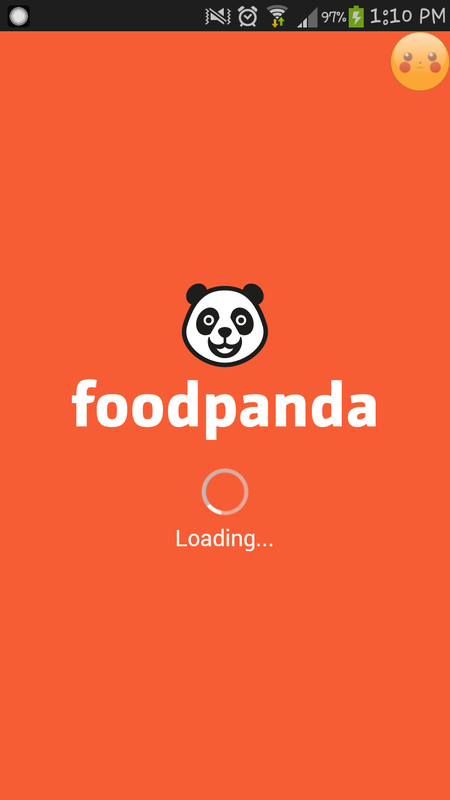 But FoodPanda had the service on them too so there's more to your favourite 24 hour convenience store to love now. I was hungry though so 7-Eleven was totally out of the picture but I could try it out someday when I need something from them and it's raining. Complete exploitation! 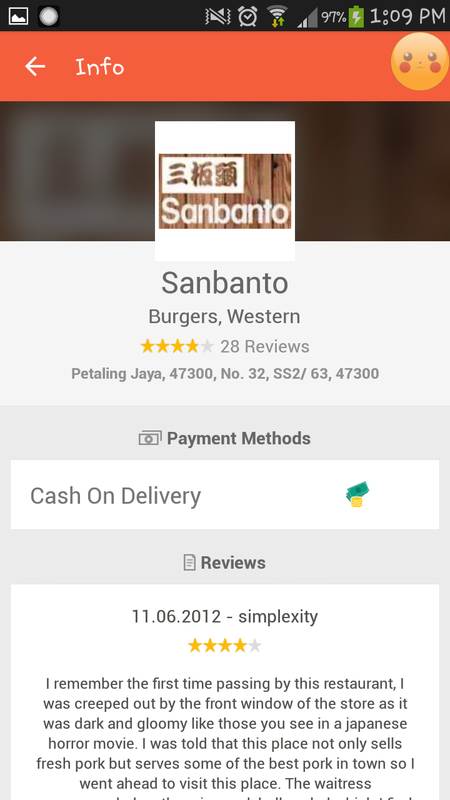 We set our eyes on Sanbanto however because I heard from Tania that they served pretty decent food and I've always to try out the hype of it ever since the sighting of their shop in Bangsar...that now isn't there anymore. Burgers and western, you won't go wrong. The app made ordering really simple because you could pick from the menu of appetizers, mains or sides and tap the addition of quantities if you wanted more than a serving of one single thing. This meant no extra tapping and the breakdown is a lot more simple when it comes to the payment page so you could track what you've order in a single look. We were ready to pay! You could see that it was a binging day for us because we ordered up to RM 121.76 for the three of us but what is life without the joy of eating and what better time to binge than when our salaries were out? This was it! My food order has been thrown in and all I had to do was wait. 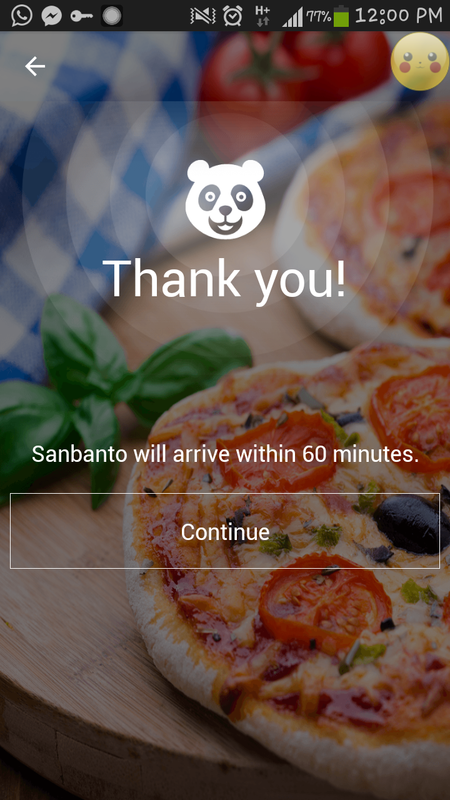 FoodPanda mostly delivers within an hour (70 to 80 minutes tops if traffic conditions are bad and weather forbids!) so you can make early plans on when you want them to arrive at your doorstep. There's also confirmation texts that will come through your phone so you don't have to do a double take on whether or not your order has really been taken. 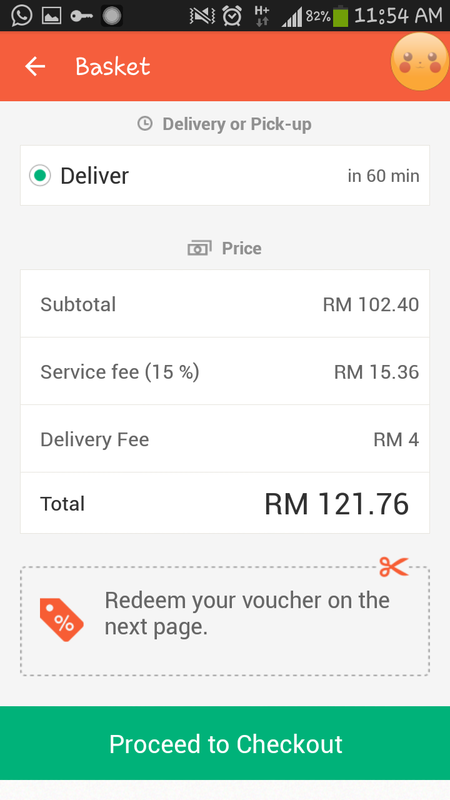 You wouldn't miss out on the delivery man however because they come wearing bright orange FoodPanda shirts and they usually have change for a RM 50 note; a sign of being extremely well prepared. Their riders even come with a bag of coins for those times when it involves little cents here and there and I was thoroughly impressed. 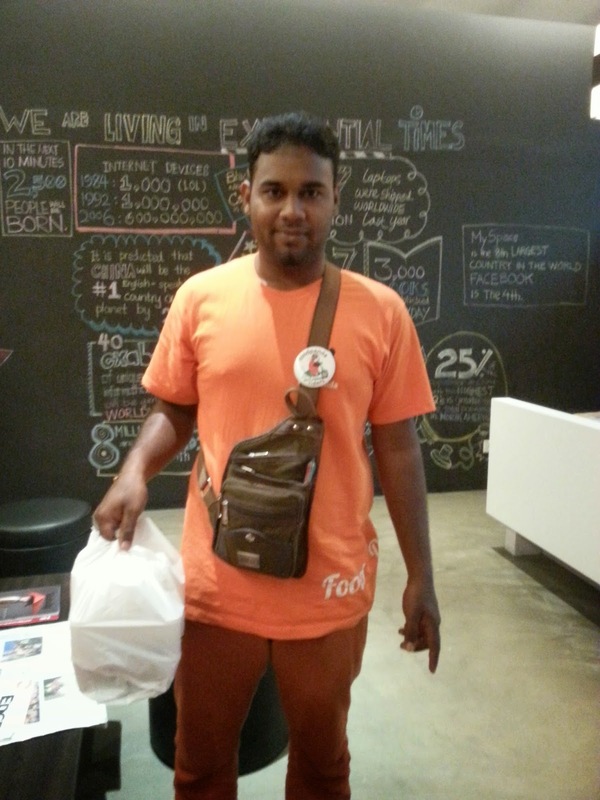 Meet Mathenvan, my FoodPanda rider! He was a really cheerful bloke and when I said I wanted to get a picture of him taken, he cheekily ran his hand over his hair and said, "I MUST LOOK GOOD!" It was a great laugh for me and I was ever more grateful that he brought me my food in time with nothing toppled over! Big claps for Mathen, he totally made my afternoon a tummy filling one. Our haul from Sanbanto was here! Everything came packed in microwavable plastic containers for those who needed to reheat their food but ours came just right at a warm state so we didn't have to do anything but dig in. It was at an overall a great experience with FoodPanda and I didn't get one bit wet nor did I have to leave the building to get such delicious food to my (office's) doorstep. I do wish they would deliver to Sungai Buloh soon however so I can still binge when I am wearing my pyjamas. Pretty please?